CNN host Jake Tapper on Wednesday tore into Fox News for a misleading tweet and headline that took a comment he made about the terrorist attack in New York City out of context. On Tuesday afternoon, Tapper addressed reports that the suspect yelled “Allahu Akbar” after exiting his vehicle. “The Arabic chant ‘Allahu Akbar, ‘God is great.’ Sometimes said under the most beautiful of circumstances and too often we hear of it being said in moments like this,” Tapper said on his CNN show. Fox News pounced on Tapper’s description of the phrase as “beautiful” without noting that Tapper said that it was used in a different way during the Tuesday attack. Fox News Insider published the headline, “CNN’s Jake Tapper: ‘Allahu Akbar’ Can Be Said Under ‘Most Beautiful’ of Circumstances.” The body of the article uses Tapper’s full quote, but the context is not noted in the headline. The network promoted the story with a since-deleted tweet that read, “@CNN’s Jake Tapper Says ‘Allahu Akbar’ Is ‘Beautiful’ Right After NYC Terror Attack,” according to the Huffington Post. Fox also shared the story on Facebook with a description that reads, “CNN anchor Jake Tapper said the Islamic phrase ‘Allahu akbar’ can be said ‘under the most beautiful of circumstances’ just minutes after a terrorist attack in New York City.” That social media post is still up. Tapper tore into Fox News for “lying” and argued that Fox News is transforming into a right-wing outlet similar to InfoWars.
.@FoxNews chooses instead to deliberately lie about what I said. Following the slime-coated path of @DailyCaller and @infowars. Disgusting. Tapper noted that the misleading headlines started with a post in the Daily Caller. 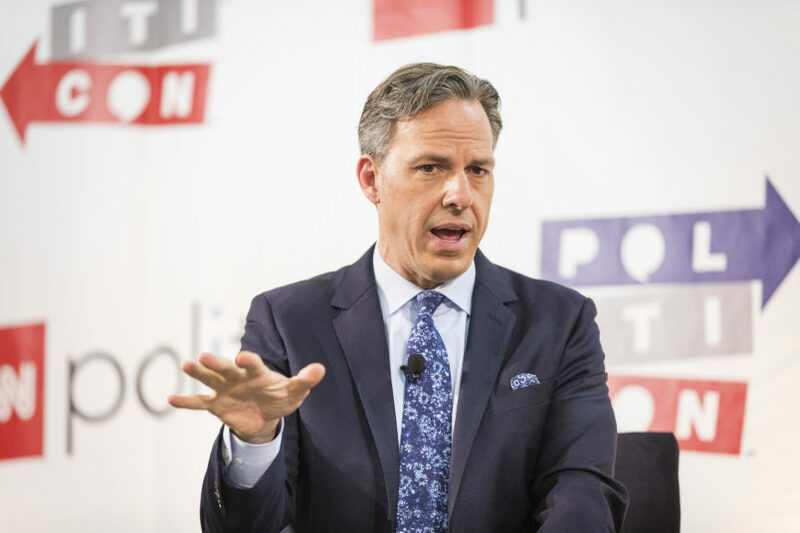 The network also included a comment from Fox’s Dana Perino, who said that Tapper was trying to point out that terrorists pervert their religion to justify violence.